Amanda Hocking has always been a writer. Growing up, she wrote short stories and had dozens of ideas for novels. She was so sure of her talent that, when she was still a child, she decided that writing would be her fall back career. It never occurred to the now 26 year old that no one would want to publish her books. The Minnesotan's full-length books were dark. "Think a fictional version of Bully by Jim Shutze or We Need To Talk About Kevin by Lionel Shriver," Hocking writes. The author drafted her first novel just out of high school about a man with amnesia searching for a serial killer in a corrupt institution. After shopping her grim stories around to no avail, Hocking figured it must be the subject matter that was turning publisher off. Find why Amanda's story is so novel after the jump. In November of 2008, Amanda Hocking was determined to be published. What was selling? 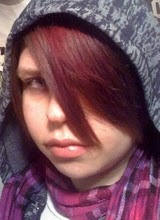 Walking down the fiction aisle at Walmart, she saw the plethora of vampire novels so Hocking went home and wrote two. Again Hocking was rejected and again she decided on another tactic. 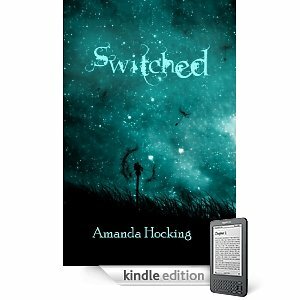 She wrote Switched, a young adult paranormal romance. This time, a few agents were interested but nothing came of it. Hocking tried another tactic, writing a dystopic young adult novel after reading the subgenre was becoming more popular. Her determination earned nothing. No one wanted the book Hollowland. Hocking was ready to give up. The middle man publishing industry wanted nothing to do with her. Then, the novelist stumbled upon the story of Elisa Lorello. Lorello was one of the top 100 authors for Kindle download and she didn't have a publisher. Hocking decided to make her novels available for download in April of 2010. Even if she only sold a few, it would still be better than the pile of rejection letters she had collected. Selling her books directly through retailers like Amazon or Barnes & Noble would allow her to keep approximately 70 percent of the profit. Hocking listed the price at less than a dollar. In the first two weeks, she had sold 45 copies. She sold 624 copies in May. According to Novelr, Hocking is now selling over 100,000 books a month via Amazon and Barnes & Noble. She still keeps her prices low, no more than $2.99 a book because she can. She has no middle man to eat up most of the profit. Hocking has self-published nine titles digitally in the last 11 months and just released one of the books in paperback via Amazon's createspace. Huffington Post lists the two time college dropout's worth at over one million dollars. Hocking's tale says a lot about the future of the publishing industry, but that is not why it's such an interesting story. What's unique and worth retelling is that Hocking's success is due to her dogged determination in the face of countless rejections. Hocking is truly a self-made woman, the stuff of novels. The writer picked herself up by her bootstraps and fulfilled her dream in spite of major obstacles without the help of anyone in the centuries old institution of publishing. I actually heard of these novels because Amazon itself recommended them to me for my Kindle. In terms of marketing, Amazon appears to play no favorites when it comes to who published the books. That's something to consider when you're going direct-to-Kindle - Amazon is an equal opportunity pimper of ebooks. I'm not sure about B&N, anyone else know? I only heard of her a couple of weeks ago via Kris Rusch's business blog. It's pretty mindblowing that she's actually sold enough copies of her ebooks that she can get onto mainstream bestseller lists if they allow indy works on the lists. I think its more than her determination, I think its her talent - she might have been rejected by publishers, but she can write.